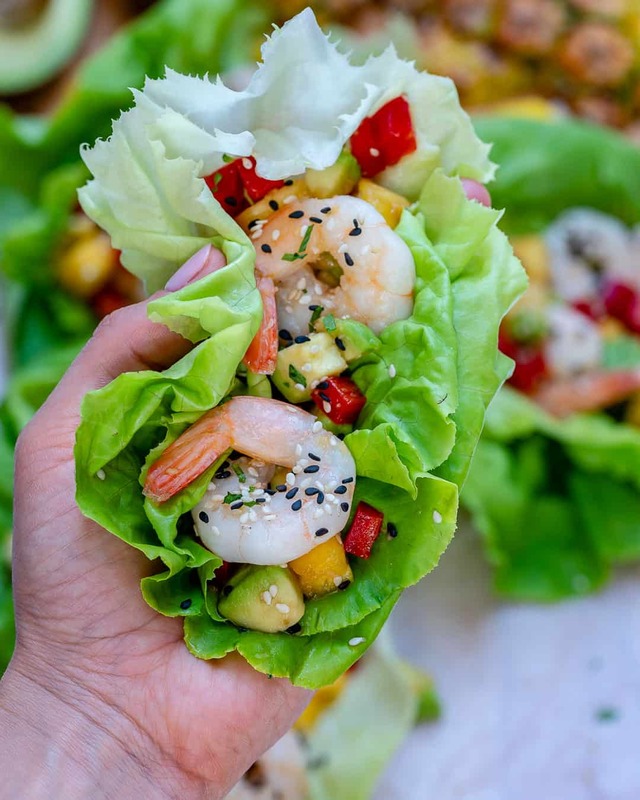 These Easy Hawaiian Shrimp Lettuce Wraps are loaded with shrimps and can be ready in 5 minutes. 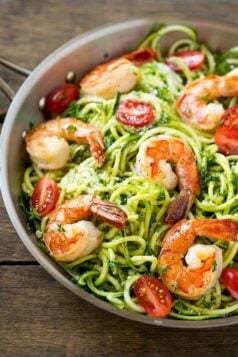 They are light and low in carbs with a sweet and tangy flavor. Makes a perfect dinner option for the family. 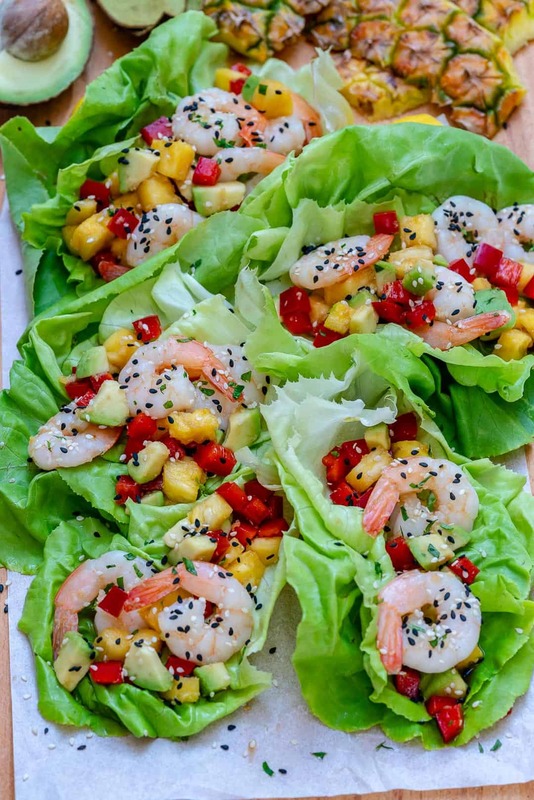 When you are stuck and aren’t sure what to make for dinner for the family, make these Easy Hawaiian Shrimp Lettuce Wraps because it will be a hit. They are so easy to make and full of flavor. 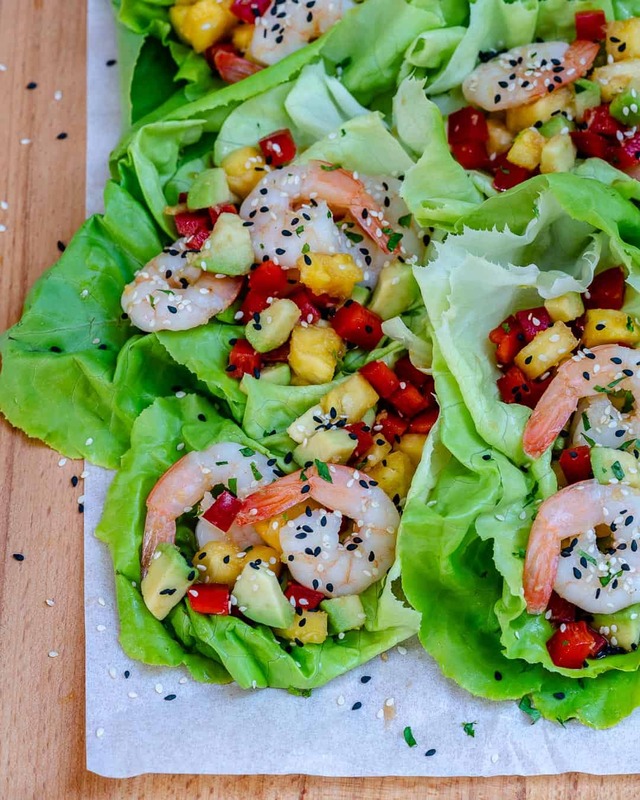 I love the combination of fruits, avocados, and shrimps. 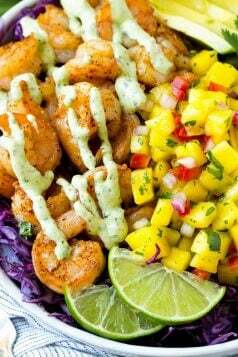 If this is something your kids won’t eat then save this recipe to wow your friends and family during your next gathering. I get asked this a lot: What Lettuce do you use for wraps? 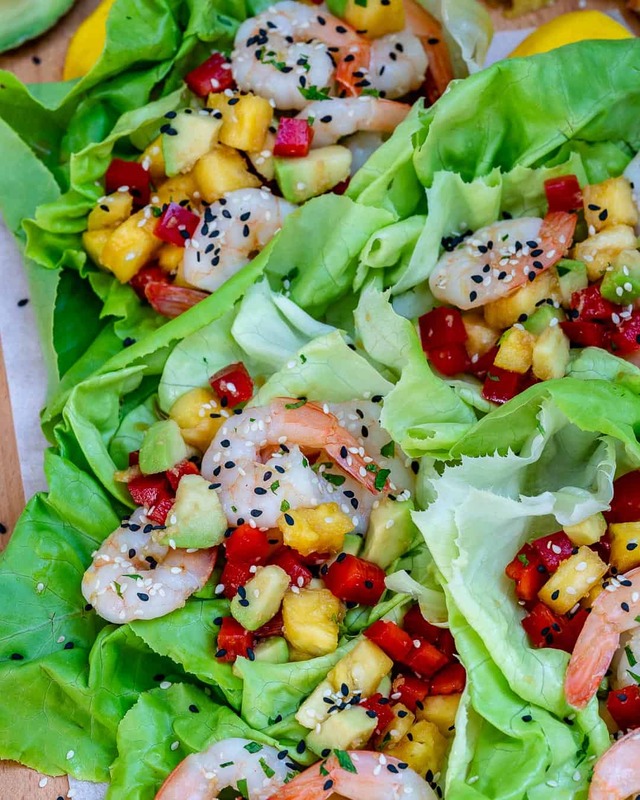 For this Easy Hawaiian Shrimp Lettuce Wraps recipe, I used Butter lettuce. But there is a variety you can choose from. Here are a few lettuces: Iceberg, Boston, green leaf and butter lettuce. These 4 types seem to be used the most. Most people favor iceberg and butter lettuce. 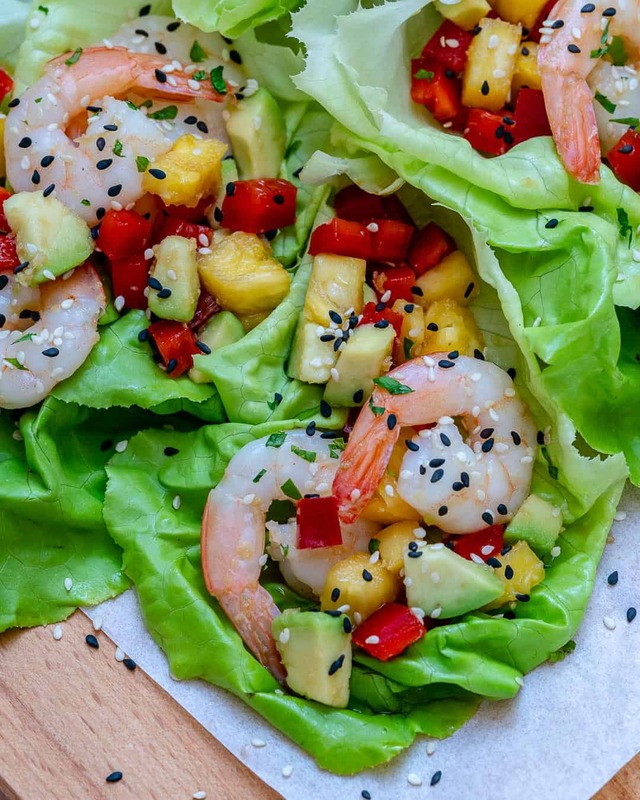 If you are making Asian wraps, I would recommend you use seemed iceberg instead of the other kinds because it is more crispy. But regardless of what you choose thought it will come down to what you like best. The only thing that some people don’t like iceberg lettuce is because it is harder to roll and they prefer using Butter lettuce instead. We love these Easy Hawaiian Shrimp Lettuce Wraps so much and I hope you love them too and enjoy them always. If you do please rate it below and leave me a comment. Don’t forget to pin it and share your remakes with me on Instagram. 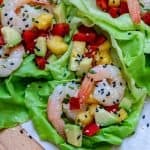 These easy to make low carb Shrimp Lettuce Wraps are loaded with Shrimps and have a sweet and tangy taste. Ready in 5 minutes. 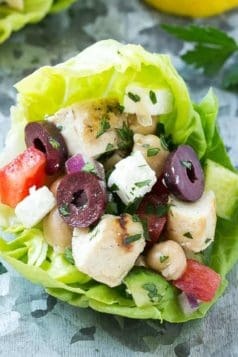 In a medium bowl add all ingredients except lettuce and sesame seeds. Mix well to combine.